Closing a law firm can be a daunting task. 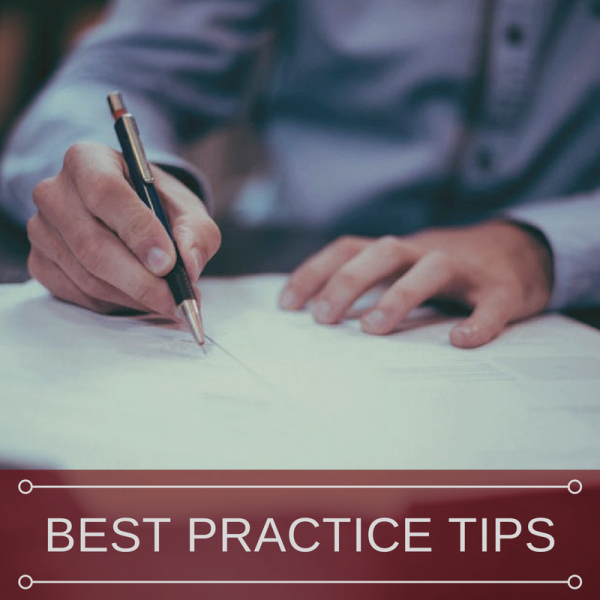 There are many considerations attorneys must take into account, and the process itself takes time due to obligations to protect client information as well as the interest of the clients. Effective Jan. 1, 2019, Illinois employers are required to reimburse employees for expenses incurred while performing their jobs. This new requirement is an amendment to the Illinois Wage Payment and Collection Act. Failure to comply with the new law can result in damages equal to the reimbursement amount, a 2-percent penalty for each month the expenses were not paid, and attorneys’ fees and costs incurred by the employee. In her article, “To Pay or Not to Pay: Should You Reimburse Your Employee’s Expenses?,” business and employment law attorney Helen Bloch provides practical takeaways and advice for ensuring you and your clients are complying with the new requirement. Mediation is designed to resolve differences both in and out of the courts. It requires a very different mindset than courtroom litigation. Don’t miss this Master Series program March 25-29 in Chicago that trains practitioners to resolve conflicts in a non-adversarial, non-confrontational manner, allowing peaceful resolutions between parties. ISBA Director of Legislative Affairs Jim Covington reviews legislation in Springfield of interest to ISBA members. This week he covers civil procedure—Section 2-619 dismissal, IMDMA and priority for grandparents, emancipation of minors, domestic violence, and jury duty. Civil procedure—Section 2-619 dismissal. House Bill 3181 (Mazzochi, R-Westmont) adds a new subsection for an involuntary dismissal if a claim is unenforceable because it was (1) filed for a purpose of forcing an individual or entity to change positions or induce or coerce behavior in a manner unrelated to the claim asserted; or (2) based on allegations made to a government entity by an anonymous complainant if: (a) the anonymous complainant is not revealed; or (b) the anonymous complainant, if revealed, made the allegations to a government entity while holding an ulterior motive toward the defendant or to retaliate against the defendant. Assigned to the House Rules Committee. Q. Our firm is a personal injury, plaintiff's litigation firm in Denver, Colorado. I am one of three partners in the firm. We have one associate who has been with us for 12 years and three recent law grad associates with less than three years’ experience. The three partners started the practice together over 30 years ago and we are all in our early 60s. Our lease expires in three years and we need to think about the future of the firm. All three of us are not ready to retire but none of us want to sign another lease. When we do retire, we would want to retire at the same time. Do you have any suggestions? The Illinois Supreme Court today announced the adoption of four new sentencing order rules that are effective March 1. New Rules 452 and 557 deal with the preparation of sentencing orders for criminal cases and traffic, conservation, or ordinance violation cases, respectively. New Rules 472 and 558 address the correction of certain sentencing errors, including the imposition of fines, fees, assessments, or costs; per diem credit against fines; the calculation of presentence custody credit; and clerical errors in the written sentencing order. Are you new to insurance law and need an introduction to basic insurance law concepts? Are you a more experienced practitioner who wants a refresher? Then don’t miss this program on March 21 in Chicago or via live webcast that gives you the basic to intermediate introduction you need to advise your clients in all insurance areas, including: the types of policies and coverage available to policyholders; first party property insurance; general liability insurance; home and auto insurance; life and health insurance; disability and long-term care insurance; and the rights of both the policyholder and insured regarding how claims are handled.